Home BOLLYWOOD Box Office: Akshay Kumar Starrer Jolly LLB 2 First Day Opening! 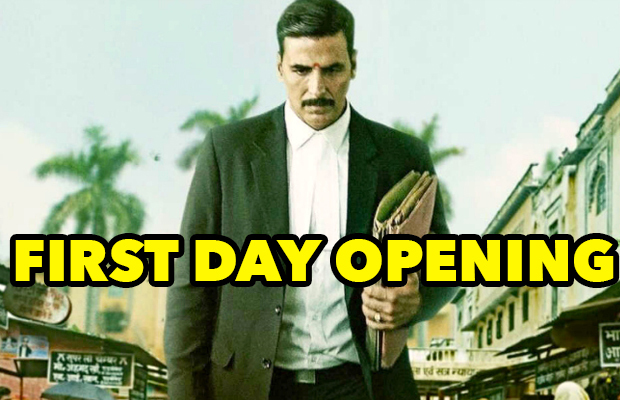 Here is Akshay Kumar starrer Jolly LLB 2 first day opening. Bollywood actor Akshay Kumar’s much-awaited Jolly LLB 2 has finally released today. It is a sequel to hit franchise Jolly LLB which starred Arshad Warsi in lead role, Well, the film being Akshay Kumar’s first offering of the year, there have been lots of expectations among the audience. Right from the film was announced, there has been a curiosity to know what the superstar has to offer in the franchise affair. From the trailer to the promos, everything has worked out in the favour, which is giving us a good deal of positivity for the film. The solo notable release of the week has witnessed an average opening of around 25% at the Box Office in the morning shows. As far as morning shows are considered, the opening was expected to be higher than what it is. Jolly LLB 2 has witnessed a much lower opening than Housefull 3 and Rustom, though those films picked up well in the evening shows. The collections for the film have been low in Mumbai circuit while West Bengal has been very poor. The collections of the courtroom drama film are much better only in North India, which will help to bring out a decent report for the film by the end of the day The small budget film with a big star like Akshay Kumar, there are pretty high expectations. Also, Jolly LLB’ was loved by the masses for its amazing plot on the judiciary and so, the audience is looking forward to the best in the sequel. Directed by Subhash Kapoor, Jolly LLB 2 is a story of a small-time, struggling lawyer, Jagdishwar Mishra played by Akshay Kumar. The film also stars Huma Qureshi, who is seen on the silver screen after almost 2 years. Previous articleBigg Boss 10 Contestants Manveer Gurjar And Manu Punjabi Will Be Seen On This Khan’s Show Next!